From Paris to Jaws. Rudy Castorina was living in Paris until he was 17 years-old and tames the biggest waves in Peahi aka Jaws now. 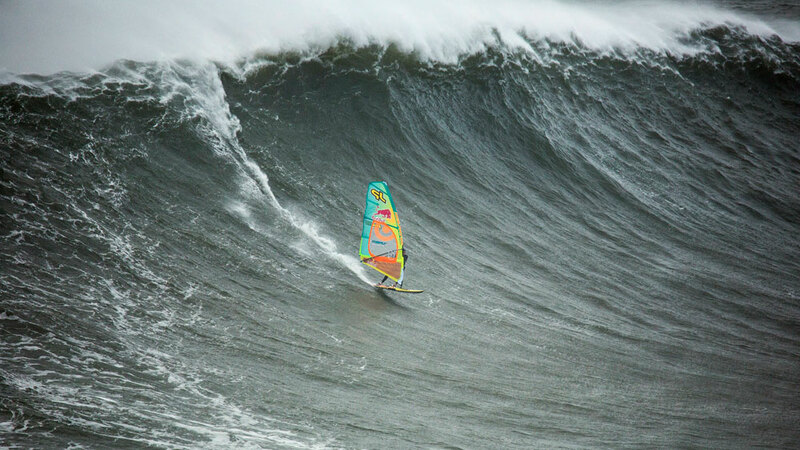 He was one of the three windsurfers besides Kai Katchadourian and Camille Juban, who rode this big November swell. Their video about this session was really impressive and we watched it several times. We decided to catch up with the Frenchman Rudy Castorina to get more insights about windsurfing at the famous big wave spot Peahi! To survive such big waves it needs a lot of courage, knowledge, safety and the right equipment. Rudy has been riding the waves there for many years and shares some of his specific know how with us. Continentseven: Congrats to an really amazing video from Peahi. These conditions were unreal. Was this your biggest session in Peahi? Rudy Castorina: Thank you!! Actually, it wasn’t my biggest session. My biggest session was on 25.02.2016. On that day the Eddie Aikau contest was held at Waimea in Oahu. That swell was also called the “Brock Swell” in Memory of Brock Little (he died on February 18th 2016 due to a cancer), a really well respected big wave surfing legend. It was also the day Yuri Soledad won the TG Heuer Biggest Wave Award 2016 riding a 73 ft big wave at Peahi. Continentseven: And this November 26, 2018? Was it a good day in terms of wind and swell direction? Rudy Castorina: Swell direction was great, the wind was really light but just enough to move around and put yourself in the right position. We could have used a bit more wind. Continentseven: How difficult was it to get the waves? In the video you take a wave from non planing, pumping yourself into the wave. 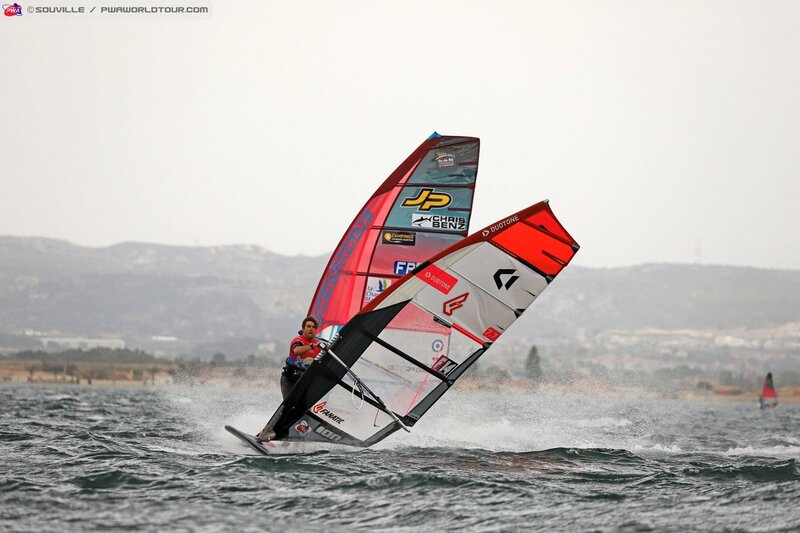 Rudy Castorina: It was really not easy with this light wind. After about 3 or 4 attempts and getting blown off the back, I told myself, “ it’s late, it’s been a long day, the wind is not going to stick around much, energy is running out, it’s time to go deep and get one!” So I positioned myself on the north peak in order to get a bit of a roll-in. With the wind updraft that comes up the face of the wave you can start moving a bit (that’s when I started pumping) and hopefully transfer your forward movement into the wave energy. Then fight that updraft wind that wants to kick you out the back. This is exactly what happened and allowed me to get into that wave. Rudy Castorina is not scared of huge swell, he wants to ride the biggest bombs. Continentseven: Who had the biggest wave that day? Rudy Castorina: Camille without a doubt!!! 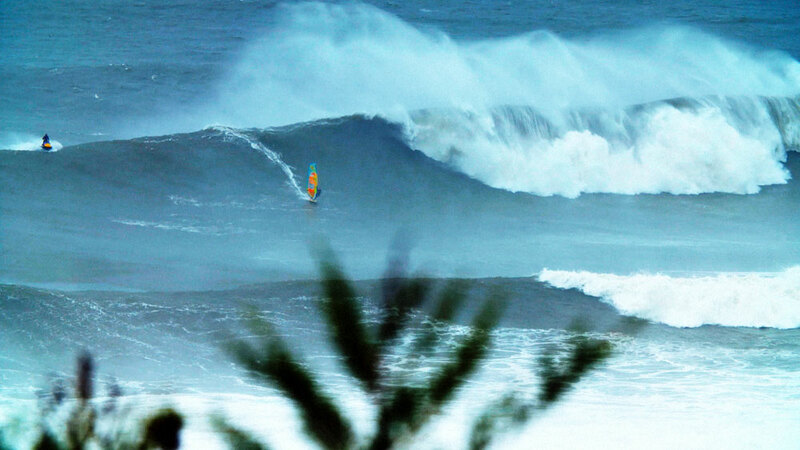 I hear around that is one of the biggest ever ridden wave at Jaws. Continentseven: What gear did you use? Any special additional tuning with extra weights on the board or bigger boards and special fin set up? Do you use regular production kit or is do you use customized equipment? What safety gear do you use? Rudy Castorina: My equipment is a mix of production and custom. That day I had a production 5.0m Black Tip SimmerStyle with a 370 top and 400 bottom mast, which gave it a bit more low end. My board is an 86L Tabou jaws Custom board with an almost 2 pounds dive weight screwed on the board in front of the mast track. Production Quad fin K300 MFC set up. I like to sand the end tips of the fins to make them really sharp. As far as safety I wear a Patagonia inflatable pull vest. As the session turned out to be last minute that day we had no proper water safety that could come get us in the pit, only regular driver that would come get you before you would end up on the rocks in the inside. Continentseven: Was this a dangerous Peahi day? Did you go over your personal limits or are you a bit more conservative and careful when it’s that big? Rudy Castorina: Yes, it was a really dangerous day, if you would have crashed in the impact zone of the main peak. I’d rather not think about it… Yes my personal limits have went to the next level with that session but also I definitely rode those waves more conservative considering the size we were chasing after. You don’t have much time or waves to warm up, it’s just “go” time. Continentseven: Was there a very risky situation? Rudy Castorina: Riding a wave is the risky situation Hahaha…Also a couple times after missing a wave, we ended up passing over the next one by a hair. Continentseven: When watching the big wave surfers we saw a lot of crashes during the event. They often went over the falls. 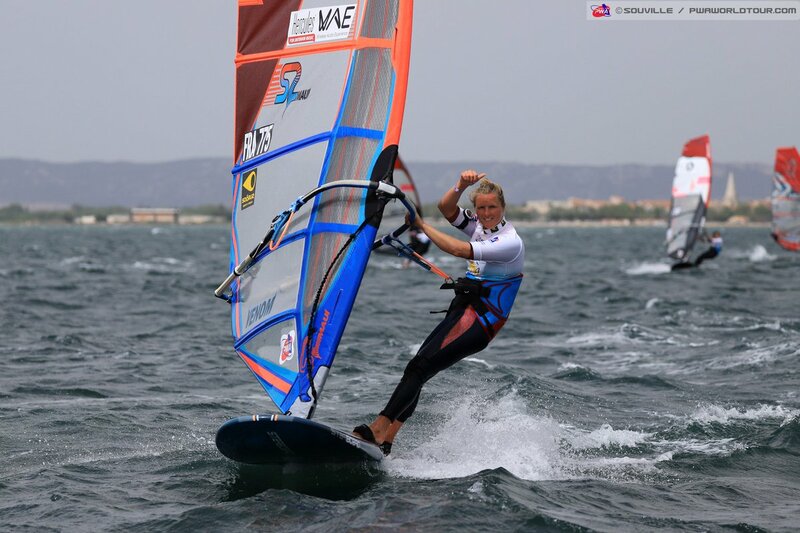 Did you crash too or are you a bit more mobile with the windsurfing equipment compared to the surfers? Rudy Castorina: In general we are a bit more mobile as we depart earlier when it’s windy. But that day, with the light trade winds, the take off was pretty close to the surfers take off spot which made it a technical drop. None of us crashed that day. Continentseven: What’s the hardest part, the physical or the mental part? Rudy Castorina: For me the mental part, convincing yourself to go over the ledge, place yourself deeper to get the best ride. Continentseven: Which skills and qualities a rider needs for Jaws? Rudy Castorina: A bit of madness, focus and confident with your skills and your gear. For example, I know some of the course racing guys that have sailed really well there, because they are really comfortable with the gear and handling chops at high speed, digging the rail for a clean bottom turn and controlling their rig with lots of speed. Continentseven: Is it an advantage to share a session with two friends. Is that a bit of an extra safety, too? For your personal safety it’s not really a plus, because if you eat it, the other sailor can’t do anything. I would say it’s more mental knowing you are not riding alone. Continentseven: How long did you prepare for the session? You went out pretty late! 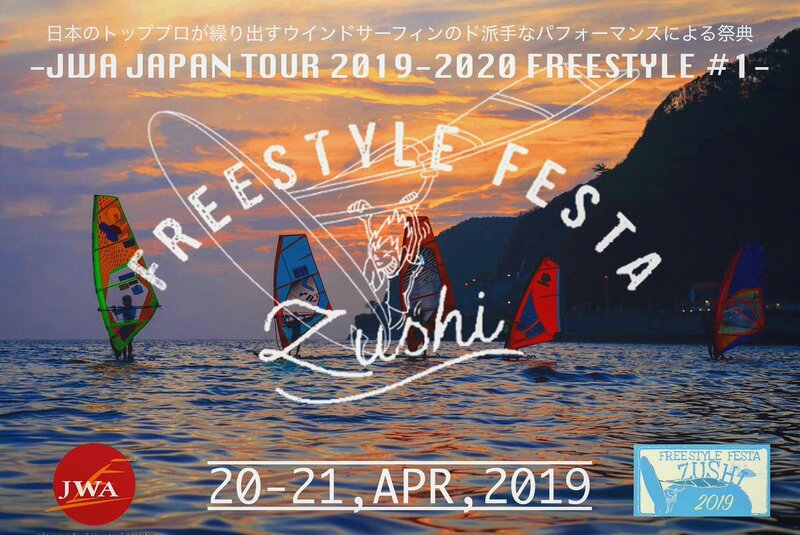 The chief commissioner of the WSL gave the green light 48 hours before the day of competition and there it was said that it would be impossible to sail. Of course we thought “There’s going to be all the WSL circus on the spot, 15 boats, 30 jetskis, all the best big wave surfers in the world waiting for their turn at the end of the contest to hope for a wave of this mega swell.” We turned the problem around and we still did not see how to do it. So, that morning we went surfing at another outside reef. Then, around 11am, the wind picked up. I saw boats and jets returning to the harbor step by step. I wondered what was happening. Around 11:30 am I called the office where everyone was watching the Live contest and there, Bella (my partner) told me that the contest was canceled! I asked her if it looked still windy and she said “yes, but it looks light, there is only Kai Lenny doing tow-in”. We had never thought that the contest could be canceled, but the conditions had become too radical and dangerous for the competition. At noon we were at a leeward spot about 45 minutes away from Jaws by calm sea! With 15 meters of swell and 15 knots headwind, it took us an hour to make it halfway up and recover the windsurfing gear. The bay where we come in and out of the water with the jet ski to get the gear was closing out, it turned out to be very difficult. But finally, it was 3pm, we arrived on the channel, ready to rig. All the boats and jet skis of the contest were gone, the spot was empty aside from Kai Lenny doing a tow-in festival. The wind was very light. We rigged. Camille got 3 good ones with that massive one. Kai got 2 clean jewels and I got 2 waves also. Yes, it was pretty late but it turned out that the wind clocked on right when we got there, it was not sailable before and anyhow I don’t know if we would have taken much more waves than that. Continentseven: Is it obligatory to ride Jaws when someone applies for a sponsor deal with Simmer and is Simmer looking for its heritage again? Giant bombs were challenged by Malte, Klaus and his crew from the beginning on. Rudy Castorina: I don’t think it’s mandatory, but it’s kinda feel like the Simmer team riders are inclined to that. I believe that Malte and Klaus have set the bar pretty high and this kind of ride runs in the DNA of the Simmer brand. I am happy to live up to that. Simmer riders be ready! Continentseven: Is riding Jaws the biggest satisfaction you can reach in windsurfing or do you prefer a clean day on any outer reefs or at Ho’okipa? Rudy Castorina: Riding Jaws feels like a dream come true especially thinking that I grew up in the suburbs of Paris till I was 17! But a clean day at Ho’okipa always feels really good…. Continentseven: The first big Jaws session was quite early in the season. Can we expect more big days this winter? Continentseven: Thanks for the interview and good luck for your next Peahi adventures! Jason Polakow in an interview about Jaws, his mates on tour and the danger in big waves. 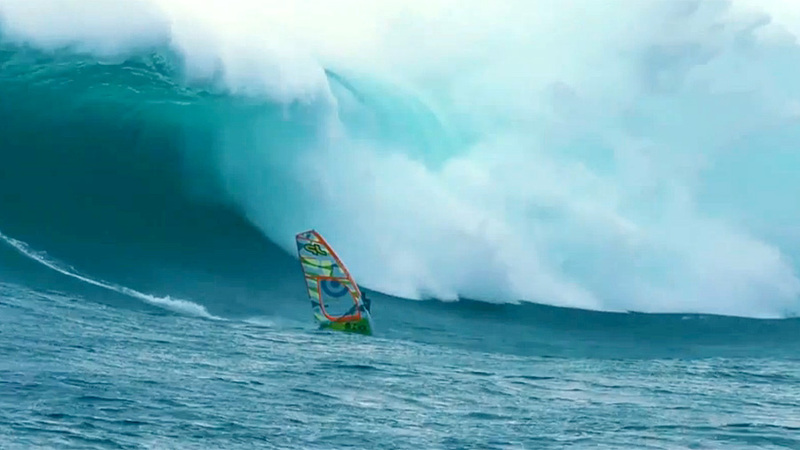 Take Shelter Productions released a great video featuring the Brazilian Marcilio Browne at Jaws. An interview with Jason Polakow about windsurfing the heavy wave at Nazare in Portugal. 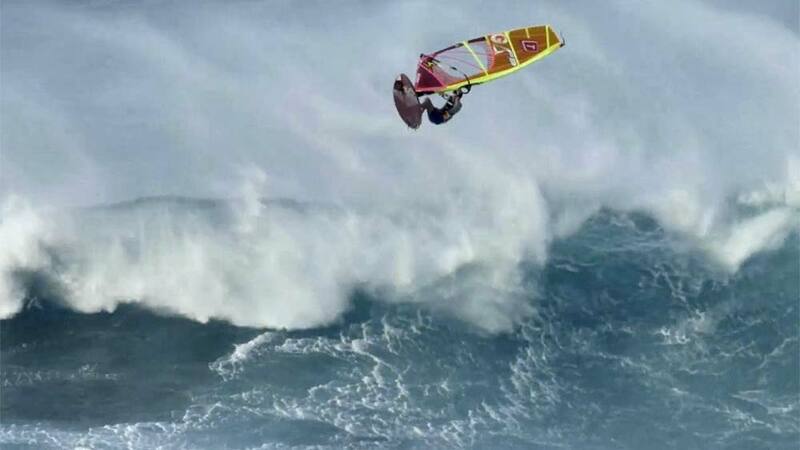 On February 2nd Jason Polakow windsurfed the famous wave at Nazare in Portugal. 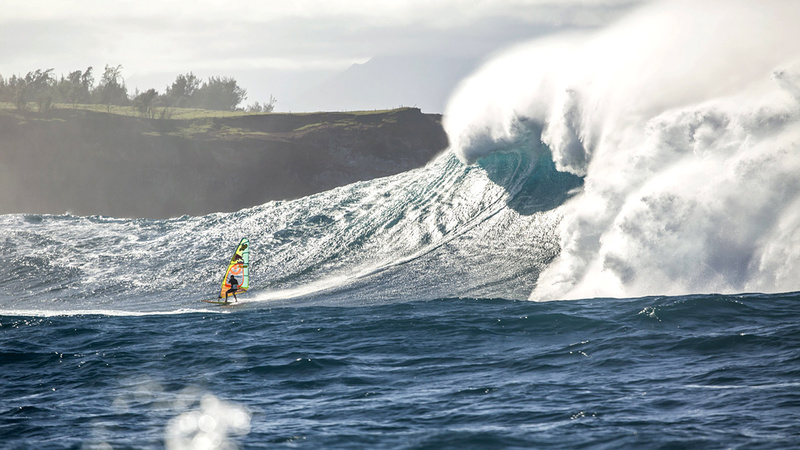 In October Thomas Traversa got the chance to windsurf at Pe'ahi, Jaws. 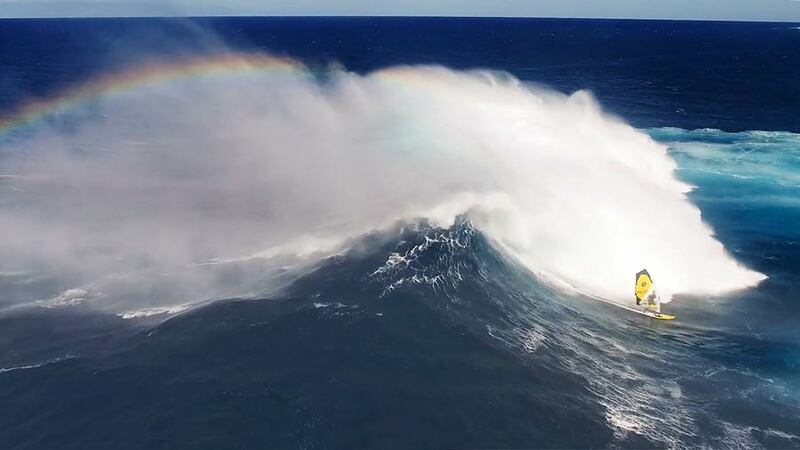 Alastair McLeod was the first windsurfer to ride this scary wave for a Red Bull project. Watch a teaser. Kai Katchadourian – What’s up?